High bounce rate is the biggest challenge for the website owners. If visitors leave your website after reading only one post, the bounce rate will be high. They are reluctant to open other pages and finish the session within a few seconds. This process is not good for your page rankings. Encourage readers to spend more time on your blog by providing valuable suggestions to them. Analyze the interests of your readers based on the topics they visit, show related articles and make them visit those pages. It will help you to improve the page views and decrease the bounce rate. A related posts plugin shows relevant posts to the readers anywhere in the single posts area. It comes with an attractive layout and design which leads to the user clicks on articles suitable to them. Are you using any related posts plugin to increase the page views? Today we’re going to list 10 best related posts plugins for WordPress. Related Posts for WordPress is one of the popular plugins to display similar articles in your blog. It is highly customizable and easy to use. The plugin will pick and display related posts automatically in your single posts. It also allows you to manually choose related contents through the post editor. The posts can be displayed in anywhere you want using a shortcode or widget. Contextual Related Posts is a powerful related posts plugin for your WordPress website. It will automatically add related posts to single posts, pages, Homepage, feeds, and archives. They can be shown before the content, after the content and even inside the content after a certain number of paragraphs. Show or hide contents by age, category, post title, page type, and page ID. The plugin is highly customizable that lets you manage other parts as well. You can set a target window for the link and assign nofollow attribute to it. What’s else? Just check the plugin. It offers many more features than mentioned here. Shareaholic is not just a social sharing plugin. It is an all-in-one tool for sharing, following, related posts, monetization, and social analytics. It enables you to show related contents in seven different layouts and in posts, pages, index pages, and categories. Related posts can be shown along with the promotional contents from other popular websites. It is a great way to earn more money from your blog. Monetization is the main plus point Shareaholic has and other plugins lack. 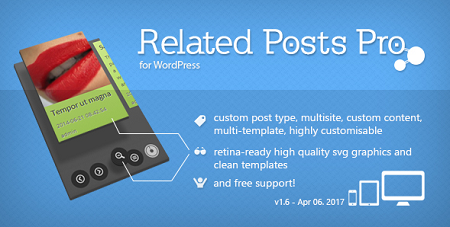 Related Posts Pro is a premium related posts plugin from CodeCanyon. It is a gorgeous and advanced plugin that handles posts, pages, categories, tags, and custom page types. The plugin has 65 different templates and three layouts to give professional quality to your website. It is user-friendly and allows you to customize each and every part of the related posts. YUZO Related Posts displays similar articles on each page that related to its category or tag. The plugin is fast and easy to use. It features four different styles and configurable in terms of post type, thumbnail size, background color, transitions and much more. Jetpack is another plugin to increase your page views, traffic and reduce the bounce rate. 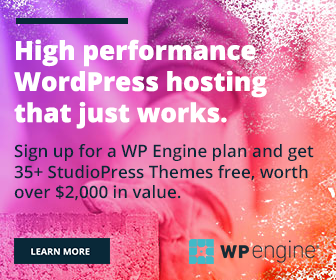 It is an all-rounder plugin to meet the various requirements of a WordPress website including security, social sharing, SEO, backup, related posts, comments etc. It will show related contents to your readers at the bottom of the post and persuade them to stay longer on the website. Thus it helps you improve the page rankings and traffic. Related Posts by Taxonomy is a light-weight WordPress related posts plugin to divert your readers to other internal pages. It will display posts from single or multiple taxonomies and post types after the post contents. The posts can be shown using widget and shortcode. They will appear along with post thumbnails, links, and excerpts to encourage readers to click on them. Similar Posts lets you show related contents based on various conditions – by category, tag, author, age, ID and custom fields. It gives complete control over the display of related posts and the list can be customized in several ways. The similarity is judged according to a post’s title, content, and tags and you can adjust the balance of factors to fit your own site. Better Related Posts Widget is a premium plugin to display similar posts in the sidebar. It shows contents along with the optional display of author, date, excerpts, comment counts, thumbnails, and others. 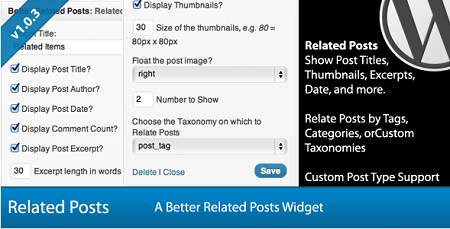 Use categories, tags and custom taxonomies to filter and show relevant posts in the widget. It is another simple related posts plugin for WordPress. Insert similar contents by category, tag, categories and tags, random or custom filters. Like the plugins we already discussed, Related Posts Thumbnails Plugin for WordPress also allows you to customize the font color, background color, font family, excerpt length, block height etc.